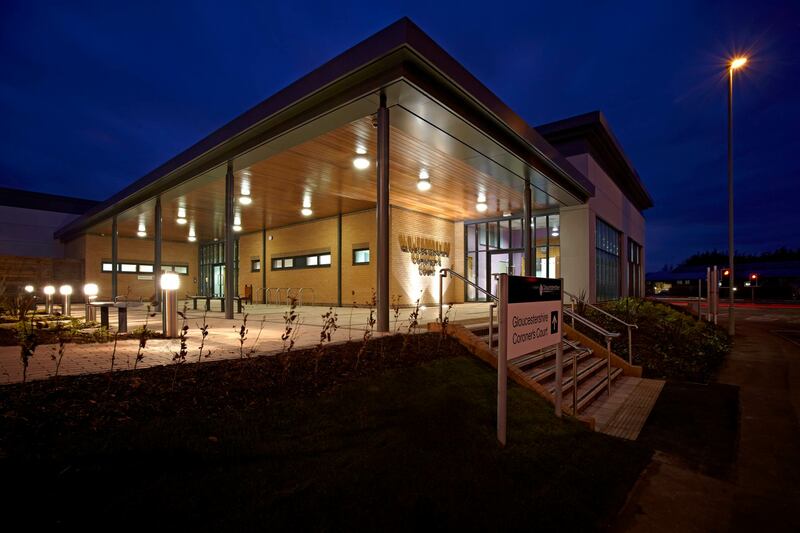 This unique facility provides a new Coroner's Court and an adjoining centralised Mortuary for Gloucestershire, complete with dedicated post-mortem facilities and public, staff and administrative accommodation. A sensitive approach was adopted towards the design and layout of various functional areas of necessity. Quiet and dignified areas, including a garden for contemplation, are intended to help ease the difficult and emotional state of visitors. The Coroner's Court itself is a balance of comfort and formality, with a strong visual presence externally and internally, reflecting it's sensitive, but civic function. Winning Project for Best Value in South West Built Environment Awards.